The LG G6 is a beautiful handset that delivers an incredible viewing experience with a powerful and speedy performance. 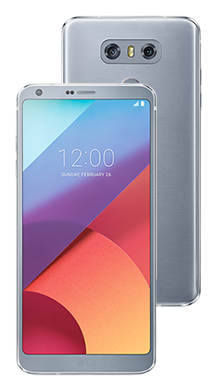 Select your desired options to find the best LG G6 deals for you. LG is known for designing beautiful smartphones that deliver a reliable performance at a reasonable price. The company have never tried to compete with those brands who champion high-end smartphones at equally high prices, and we love them for it. 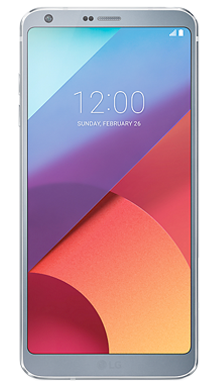 The LG G6 is the perfect example of why LG has been able to build a loyal following of fans on a global scale. It combines a great design with innovative technology and powerful internal hardware that, overall, makes for an exceptionally impressive handset. 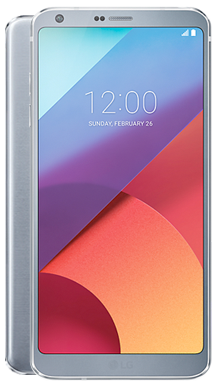 The LG G6 is ideal for anyone who needs a reliable handset for personal or professional use that looks premium but won’t break their budget. 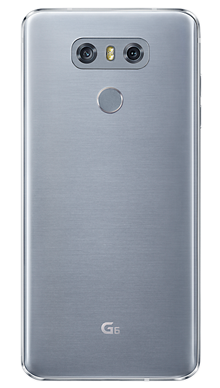 The LG G6 is expertly crafted from Gorilla Glass 3 and 5 on the front and back panel with a sturdy aluminium frame to make for a handset that looks sleek, sophisticated and distinctly premium. The rounded corners and edges make it extremely comfortable to use, with the fingerprint scanner conveniently positioned on the rear below the camera, and it comes in four stunning colours for anyone concerned with style. Back in the day, LG were the pioneers of manufacturing touch screen phones, so it's no surprise that the screen quality on the LG G6 is of a very high standard. The screen is a 5.7-inch panel will LG’s innovative FullVision display, an 18:9 aspect ratio and an incredible QHD Plus resolution. There’s also the addition of Dolby Vision to deliver a truly remarkable viewing experience that won’t fail to impress. The screen is protected by Gorilla Glass 3, and the handset is also water and dust resistant, so you needn’t worry where you leave your handset when it's not in use. The audio experience on the LG G6 perfectly compliments the viewing experience, delivering a rich and dynamic sound that is perfect for any music buffs out there. There’s even the option to customise all of your music preferences so that your favourite tracks sound exactly how you want them to. The LG G6 gives you the opportunity to record incredible audio thanks to two AOP mics. The camera setup on the LG G6 is extremely impressive. On the rear, there is a dual 13MP camera that takes photographs that are clear, sharp and well balanced. Colour comes across vividly and the app itself is quick and easy to use. If you’re an Instagram addict you’ll be happy to learn that the LG G6 comes with a new square camera mode, to allow you to take the perfect shot for your favourite social platform. On the front of the handset if a 5MP wide-angle lens that allows users to not only take great solo selfies but also get all of their family and friends in on the action too, thanks to the wider field of view. The fantastic screen quality of the LG G6 doesn’t just mean that this handset is great for viewing media and reading content; it's also ideal for any gaming enthusiasts out there, thanks to a tremendous gaming experience as a result of support from Vulkan software. You don’t even need to worry about your favourite games draining your battery, as there’s the trusty Game Battery Saver to keep you playing. For those who lead a busy lifestyle, there’s Google Assistant to keep you in check and up to date with all of your daily tasks. With all of these fantastic features, you may wonder if the LG G6 can keep up. You need not worry; the LG G6 runs on an impressive Qualcomm Snapdragon 821 processor to deliver an ultra-responsive smartphone experience. There’s also a mighty 3300mAh battery that shouldn’t need boosting throughout the day, even with heavy use. Here at Metrofone we’re dedicated to bringing you the very best mobile phone deals. Our team work tirelessly to secure our customers' great smartphone offers every single day, and the LG G6 is no exception. At Metrofone we partner exclusively with EE, the UK’s leading mobile communications network, to ensure that our customers get the best service and connection wherever they are. Whether you’re looking for lots of data, minutes, or even a fantastic cashback offer - we’ve got you covered. If you have any questions about the LG G6 or need more information about a specific deal, then why not call our trusted customer service team on 0333 900 1144 today? They’ll listen to exactly what you’re looking for to make sure that they give you the very best mobile phone deal possible.